Even though some people might have a hard time pointing out South Korea on a map, almost everybody knows South Korean companies like Samsung and LG — but they aren’t the only noteworthy companies in the country. 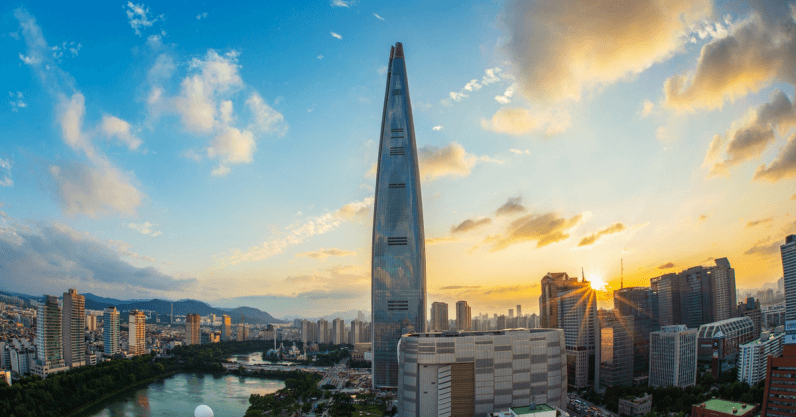 Many other interesting companies play an important role in the South Korean tech scene, and it’s hard to discuss one’s business expansion in Korea without knowing the major players in the market. If you or your company are thinking about expanding to Korea — for example via programs like the K-Startup Grand Challenge — then knowing these companies can be detrimental to your success. The South Korean search engine market is one of the very few markets that Google has struggled to dominate. 70 percent of Koreans use Naver over other search engines, showing the companies firm hold over its market. Naver is truly ingrained in the life of Koreans, and it’s where they find the answers to all their questions (very much like Google in almost every other country). The ’top 10 searched keywords’ on the right side of Naver’s homepage also perfectly summarizes the key social, political, and cultural topics that are trending in Korea. If you’re going to do business in Korea and you haven’t heard of Naver, you’re going to have a hard time. Believe it or not, Facebook Messenger and WhatsApp are NOT the most widely used messenger apps among Koreans, that honor goes to Kakaotalk, created by Kakao Corp. Kakaotalk has continued to dominate the market share, with impressive 99 percent! It’s safe to say that every single Korean knows the app and it’s essential to doing business in the country. The Korean internet giant also became famous for expanding its business into fintech, creating its own branded bank, Kakao Bank. It also announced its plan to launch its own blockchain company, making the Kakao Corp an even bigger player in Korea’s various tech scenes. On its first day of launch, Kakao Bank gained 300,000 users, which would’ve been an impossible task without its strong market share in the messenger app market in Korea. Almost 100 percent of the population in Korea has internet access via optical LAN and mobile, and they spend on average 14.3 hours a week online. Thanks to a combination of high demand for internet access, and the capability of great service providers like KT and SK, South Korea continues to secure its position as the top country in the world regarding telecommunication. Especially for IoT Startups, KT and SK are ideal companies to partner with in terms of the number of huge customer base they have and their openness in developing IoT-based services. Most people know Hyundai as a global motor company, but Hyundai is working hard on expanding its presence in the tech startup ecosystem. The company recently introduced its creative network platform Zero1ne and venture company Hyundai Cradle, with the goal of sending competent Korean startups to the European and US market. Hyundai is also looking to foster better connections with international partners, building relationships with innovative startups from all over the world — so you should pay close attention to possible opportunities for your business. The global conglomerate has already begun taking the first steps towards its goals, announcing its plan to create open innovation centers in Beijing and Berlin. Hanwha, a fortune 500 listed corporate, is one of the leading players in the Korean energy market due to its excellence in solar energy solutions. It launched dedicated initiatives on sustainability in the energy sector, such as Hanwha’s “Energy for life.” Also, with Dream Plus, its ICT accelerator, Hanwha helps startups to expand not only in Korea but also across the different Asian markets. One thing that these conglomerates have in common is that they’re keen on expanding their market by partnering with competent startups, regardless of their origin. The South Korean government started an initiative to fulfill this need on finding new innovative startups by creating a program where these key players are the main partners: the K-Startup Grand Challenge, an all-expense-paid accelerator program offering mentorship and support for ambitious teams. Continuing the partnership with South Korean government since 2017, TNW helps K-Startup Grand Challenge to find the most competent candidates for this program. Besides the $100,000 prize for the final winner and future investment opportunities it provides, there are also great hidden benefits of accelerator program, such as a strong local partner lineup. Chances like this don’t come by often, and you can be the winner of the next golden ticket to expand your business in Korea. So, apply before June 14 and conquer your next challenge!